Welcome home!! Upon driving up to this home, the first thing you will notice is the mature, immaculate landscaping that would make anyone who drives by stop and admire the scenery. This beautiful four bedroom, two and a half bathroom home sits on a quarter acre lot in the Wedgefield community. As you enter the home, you will walk into the foyer which will lead you into the family room directly ahead. Off to your left, you will see the dining room. As you progress through the family room, you'll see the kitchen off to your left and notice the magnificent natural lighting that the big window brings in. If you didn't notice the french doors in the family room that leads you out to the back patio, there is another door in the kitchen to access the patio as well. Come back inside and you'll find the living room with it's ascending ceiling and and fantastic natural lighting. When you make your way to the master bedroom, you'll see gorgeous floors, great natural lighting once again, and a sitting area off to the left. This home also features hurricane shutters! 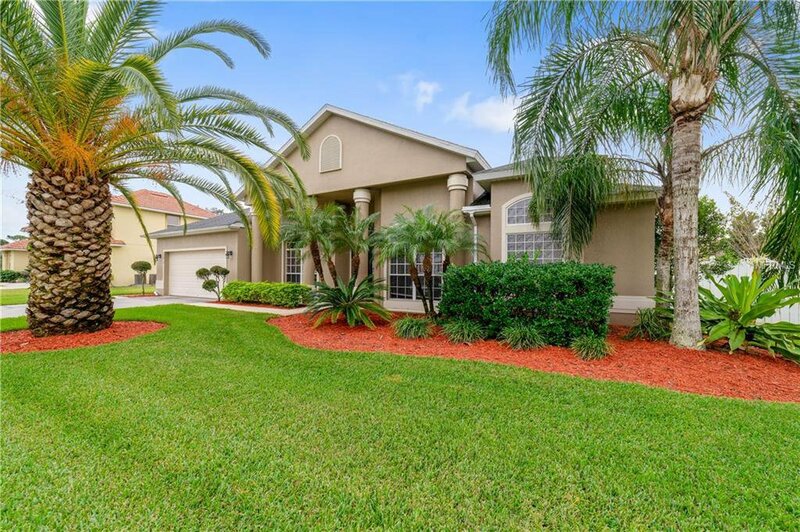 At about twenty minutes east of highway 408, you'll have easy access to all over central Florida. Do not miss out on this opportunity. Welcome home!! Listing courtesy of KELLER WILLIAMS ADVANTAGE 2 REALTY. Selling Office: BUSTAMANTE REAL ESTATE INC.